Microsoft is really trying to get customers to give up on VMWare. 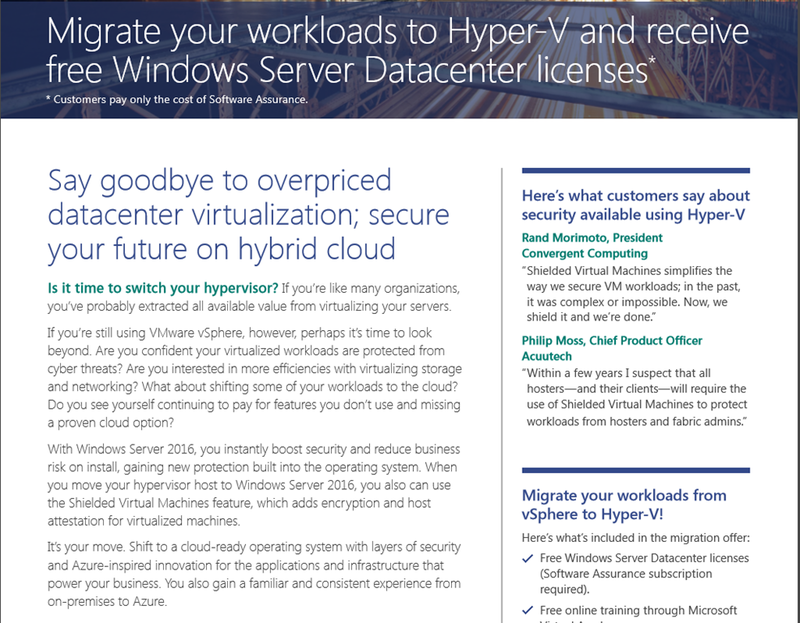 If you change from VMware to Hyper-V your Windows Server 2016 Datacenter licenses are for free. But as always, you need to read all the fine print. So the big things I’m seeing are that you need to at least pay for the Software Assurance, and that you need to have a Microsoft Partner involved in the setup. Was there anything else I missed?